When it comes to opulence and prestige, the new Jaguar XJ is a world-class standout that’s sure to satisfy the more careful shoppers in Huntington and Beckley. This full-size executive sedan features the best in luxury, including supple, hand-stitched leather upholstery and available features like massage functionality, reclining rear seats with footrests, a rear seat entertainment system, and advanced technologies like Jaguar InControl Touch Pro infotainment. 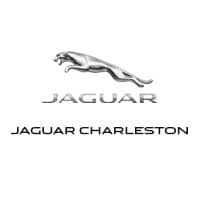 See why Car and Driver calls the XJ “a lovely ride” when you take it for a test drive at Jaguar Charleston, and contact our staff if you have any questions. We appreciate your interest in our inventory, and apologize we do not have model details displaying on the website at this time. Please fill the form out below and our team will quickly respond, or, please call us at 304-746-0500 for more information. The new Jaguar XJ has it all, including an available supercharged 5.0L V8 engine that makes up to 550 hp and 502 lb-ft of torque. See everything on display when you take a tour of this full-size luxury car at Jaguar Charleston. While you’re here, don’t forget to check out our current new vehicle specials and compare the Jaguar XJ to vehicles like the Audi A8 to see why the Jaguar is the smarter investment. If you find a model that suits all your needs and desires, then apply for competitive financing rates right at our dealership!